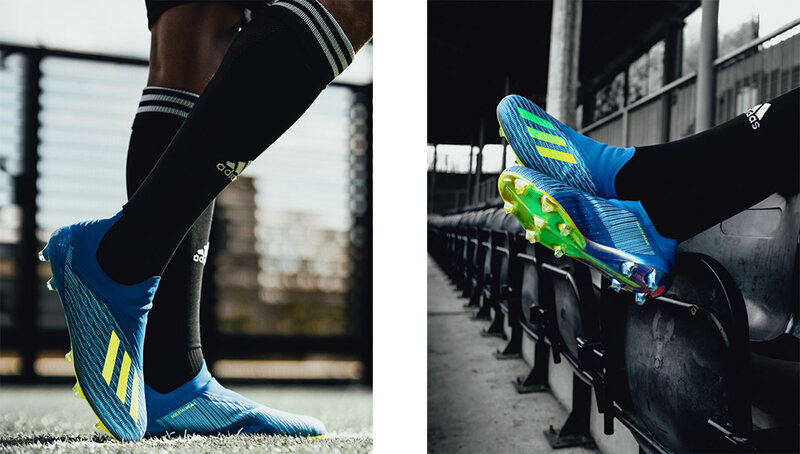 Featuring a revamped design just in time for the World Cup, the adidas X18+ is one of the most cutting-edge boots on the market. 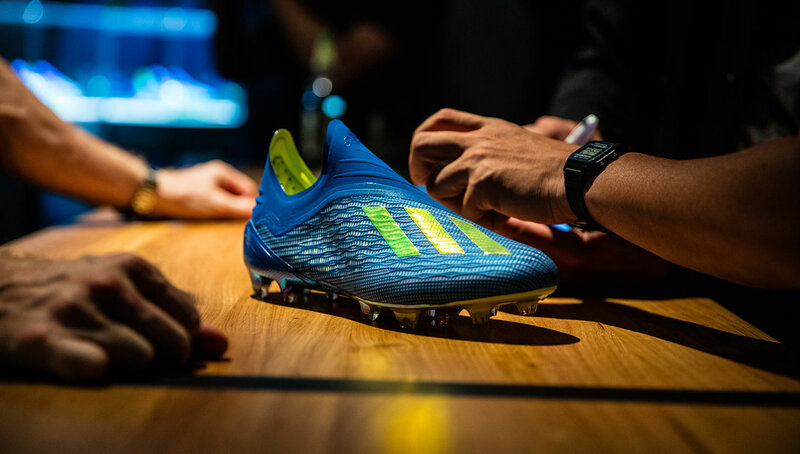 To get an idea of just how advanced they are, we spoke with adidas Soccer Category Director of Global Sales Marc Lingenhoff, who gave us an in-depth description of what went into the design of the striking new cleats. After a series of rumors and leaks, adidas officially unveiled the newest installment of its X series, the X18+. The boots once again have a laceless design, though the lack of shoe strings is just about the only feature that is carried over from the previous model. The X18+ boasts a bold futuristic aesthetic, and released as part of adidas’ Energy Mode Pack, features an electric blue and volt colorway. 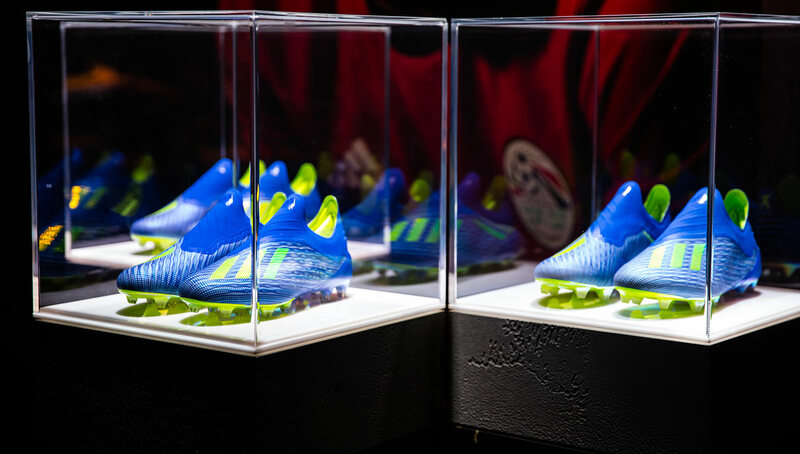 In addition to its visionary looks, as always, adidas made sure to equip the boots with the latest technology and design innovations. However, simply reading the product descriptions that list out each new feature doesn’t do the boots justice. That being the case, we reached out to Marc Lingenhoff, the Category Director of Sales for adidas Soccer to give us a better idea of just how groundbreaking these beautiful boots are. 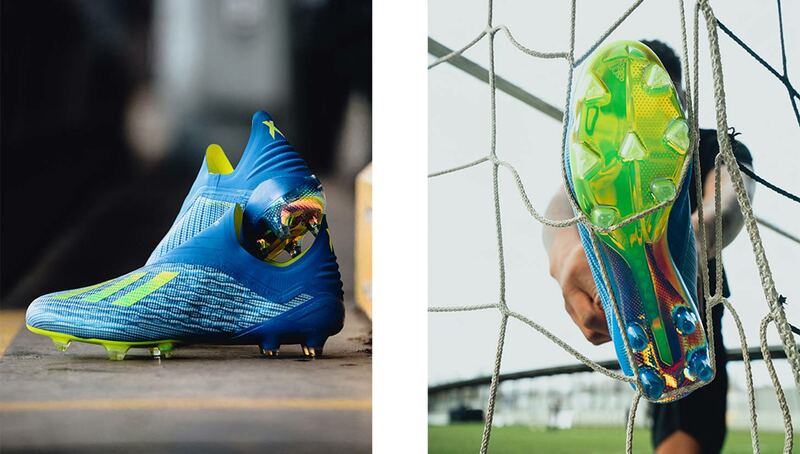 Urban Pitch: The new X18+ boots look like they’ve been transported directly from the future. Can you give us an idea of just how advanced they are, not just aesthetically, but performance-wise as well? 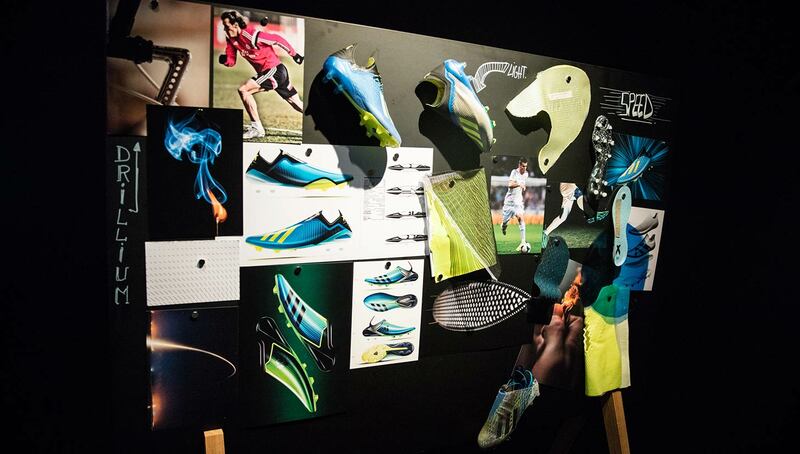 Marc Lingenhoff: The boot is the lightest laceless cleat in the market. We fused lightweight innovation with minimalistic construction in order to gain extreme traction for what will turn into explosive acceleration. As part of the innovation, and with the end goal of creating the lightest possible cleat, we used what we called drillium, a philosophy used to reduce weight by removing material without impacting performance in the upper materials, outsole construction and in the Skeletalweave. By taking the drillium technology even into this woven material, we can reduce weight without reducing the integrity and the strength of the upper. What were some of the things the design team looked to for inspiration when drawing up the X18+? On 90 minutes at the highest level of soccer, the fastest pro players average nine seconds of ball contact, and the most frequent action prior to scoring is straight sprinting, about close to 70 sprints per attacker. We know that speed matters to them, so our design language revolved around it being lightweight, minimalistic and sleek. 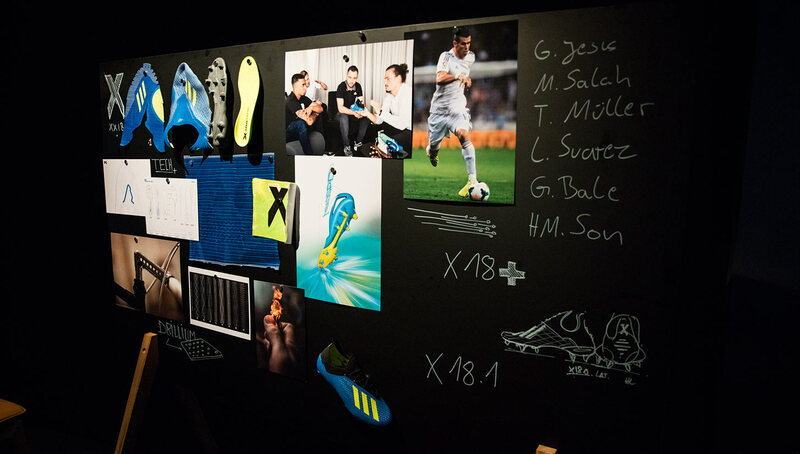 In the boots’ promotional pictures, there was a shot of the “drawing board” with some of the names of the world-class players that are set to wear these boots. Did these athletes have any say/suggestions/specifications that they requested for the boots? What kind of performance features did the adidas team want to include for these players? We are talking about the likes of Gareth Bale and Karim Benzema, whose speed showed to be the game-changing factor in Saturday’s Champions League Final. 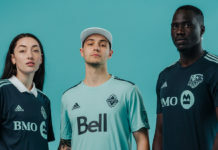 In addition, we have global stars such as Gabriel Jesus, Luis Suarez, Mo Salah, and David De Gea, and also Carlos Vela and Ola Kamara here in the U.S. The Energy Pack is a vibrant colorway that is debuting just in time for the World Cup. 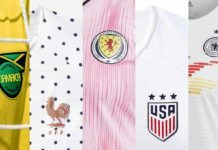 How important is it to stand out on the pitch — not just performance-wise but stylistically as well? Very important. To stand out and make a name for yourself on the biggest stage in the sport is something we also wanted to convey through the product on the field. The all-new X18+ and the rest of the adidas Energy Mode pack is now available online at adidas and at select retailers.